Its not about The Transformers (which I enjoyed anyway) that made me write this post. I made an almost similar post a year back and what I will be doing will be recollection of what I did a year back. That blog and blog post is no longer indexed by Google, thus, I got no way to search it. 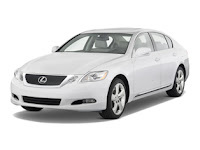 I imagine the future Japanese Royal Family of Prince Naruhito and Princess Masako as an ultra-luxurious Lexus sedan. Toyota's high-end car make, the Lexus is not for the ordinary man's budget (like me!). They're both sophisticated, squicky-clean, and you don't know that much about them (like me!). And oh, they're both Japanese. Jie Zheng of China is the newest sensation that has graced the tennis world. Aside from notching up a victory against top-ranked Ana Ivanovic of Serbia, she made it all the way to the semifinals, losing on a tight second-set tiebreak against Serena Williams. It is not just Jie Zheng that is creating a statement here but her country's Chery Automobile as well. The official vehicle to the Beijing Olympics, Chery for sure will get a lot of publicity because of the Olympics. Whenever I see SUVs, especially the American type, I also think of brawn, heft, and athleticism. It is so testosterone-filled that I really don't think girls should drive one (especially those big, muscular ones). 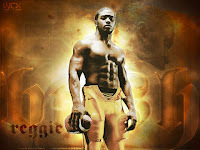 That's why I thought of Reggie Bush, Kim Kardashian's current boytoy. Bush (not the President) has won several NFL Awards and is currently playing for the New Orleans Saints. His success, built, and fine ways is worther of a Lincoln Navigator, IMO the most flashy car of its size and class. How about me? Hmmmmm, well, a Japanese pick-up doesn't fit my personality at all. Pick-up trucks are more domesticated when compared to my personality (which is pretty much very laidback). I'm thinking about a Honda CR-V, those ones that were made from 2002-2006. They're still athletically-built. But inside, they're pretty much homey and cuddly. There. I therefore have into a congruence that I am a 2002 Honda CR-V.